Engineering is the practice we use to solve problems. Because of its importance in our world, there is a celebration for it every February. This year’s National Engineers Week (E-week for short) is February 17–24. Here are two ideas for your E-week celebration. The first is a hands-on build that can be easily adapted to your time and classroom. The other is a digital challenge called Tami’s Tower, which can be played online or downloaded to an Apple, Android, or Amazon device. 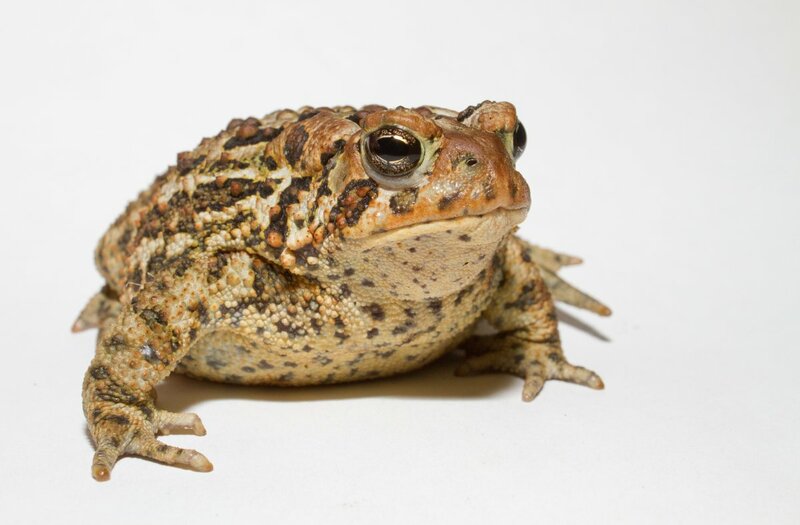 Why Are Amphibians So Important? Amphibians are the oldest tetrapods, or four-legged animals, on Earth. They appeared on land for the first time over 350 million years ago. There are around 6,000 species of amphibian, most of which are frogs. You have big news that you want to share with family in Mexico, India, or the UK. Maybe you will send an email or an instant message. Perhaps you are so excited that you will call them on the phone or make a video call through the computer. The only delay to the person receiving the news is how quickly they read the message or accept the call. However, this wasn’t always the case. At one point, the electric telegraph was the very latest thing in sending a message. The electric telegraph revolutionized how quickly messages could be received. The Isle of Skye is a 50-mile-long island in the Atlantic Ocean, just off the west coast of Scotland. It is famous for its dramatic scenery and wet weather. 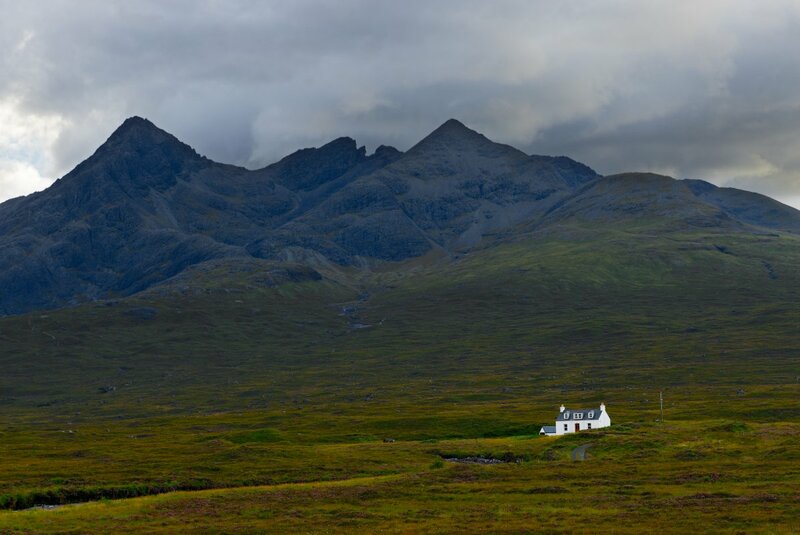 Its mountain ranges have names that wouldn’t look out of place in a Tolkein novel: Red Cuillin, Black Cuillin, Trotternish. It is a place where office workers come to de-stress and adventure seekers come to climb some of the most challenging mountains in Europe. Car manufacturers film new models of cars being expertly handled on Skye’s near empty winding roads. It is also an island where dinosaurs used to roam. Recently, there have been several discoveries of fossils in Skye from the Middle Jurassic period (174–164 millions of years ago). The Middle Jurassic period was an important time in the evolution of dinosaurs. It was when the first birds started to fly, meat eaters started to diversify, and long-necked sauropods (herbivores such as Brachiosaurus) started to get really big. Fossils from this period are rare, so now Skye has a new type of visitor: scientists. What words do you think of when you think of the name Dr. Jane Goodall? Chimpanzee researcher. Visionary scientist. United Nations Messenger for Peace. Expert. Leader. How about failure? Maybe not. But like every scientist before her and every scientist who will follow, Goodall encountered failure in the pursuit of science. All scientists fail. Einstein did. Marie Curie did. Your science teacher did. I definitely did. Can you imagine turning on your kitchen faucet and no water coming out? That may happen to the 3.7 million people living in Cape Town, South Africa. The major water reservoirs supplying water to Cape Town are dangerously low. Once the reservoirs reach a certain level, drinking water will be shut off and people will need to pick up water at a distribution point. In the 2010 Olympics, both the men’s and women’s two-man bobsled gold medals were decided by less than two-tenths of a second. Each team had taken four runs down a 1,450 meter (almost 1 mile) track, and the combined times were separated by less time than it takes to blink. So in a sport won by speed, what does it take to have the perfect slide on a bobsled run? In the movie Toy Story, Woody tells Buzz Lightyear, “That wasn’t flying. That was falling with style,” after he gracefully glides around a room. This idea that a person could fly through the air has intrigued civilizations since ancient times. Stories from the Ancient Greeks through 18th century Europe tell similar tales of men fashioning wings from wood, feathers, and cloth imitating birds before leaping from towers, hills, or cliffs. If you were lost in the middle of the woods and could not see the Sun, you might use a compass to try to decide which direction to take. A magnetic compass needle lines itself up with Earth’s magnetic field and points roughly north and south: from that, you can figure out east and west, too. Because this works fairly well, people have been using magnetic compasses to find their way for about 1,000 years. If you have ever gone swimming in summer or had a snowball fight in winter, then you know something about seasons. Seasons are times on Earth that have very specific weather patterns and hours of daylight. Earth’s four seasons are spring, summer, fall, and winter. Seasons are caused by Earth’s changing position as it revolves around the Sun. Some people think that the seasons occur because of Earth’s distance from the Sun. Your team has a soccer game Saturday, so you check a local news station’s website to see the weekend forecast. Radar images on multicolored maps show rain moving east, away from your town, and bands of clouds a few hundred miles west. It could mean rain, but the forecast for Saturday is partly cloudy with a high of 75 degrees. To get a better idea of the weather at the time of your game, you check the hour-by- hour forecast. Saturday, 10 a.m.: partly sunny and 68 degrees. Perfect. In this age of 10-day weather forecasts and colorful digital displays of the entire country’s weather, it is hard to imagine not being able to find out tomorrow’s forecast. But before the mid-1800s, farmers and ship captains, whose lives and jobs depended on the weather, had little information to go on. They relied on clouds, winds, The Old Farmer’s Almanac, past experience in how the seasons flow, animal behavior signs, and their own arthritic bones to make predictions about the weather. 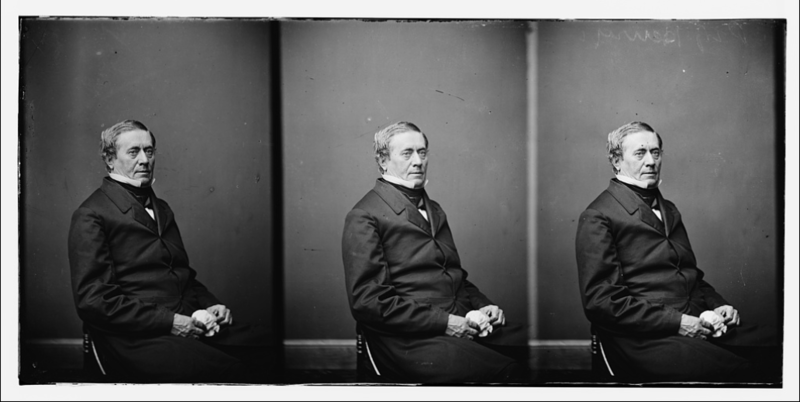 But a scientist named Joseph Henry changed all of that. Autumn Splendor: Why Do Leaves Change Color in the Fall? What is your favorite thing to do in autumn? Go on a hayride? Walk through a pumpkin patch or an apple orchard? Watch leaves dance around you? Autumn is a beautiful and fun season for all ages. We can observe a lot of changes in autumn—the air becomes crisp, the evenings grow longer, and leaves’ dazzling colors emerge. We know autumn is here when the bright green summer landscape changes to reveal brilliant reds, oranges, yellows, and golds. But leaves are not on trees just to make them pretty. Trees need leaves to keep them alive! When was the last time you truly thought about water? Not just the thought of thirst leading you to drink water but some real, contemplative consideration of water? It’s something that every person consumes (ideally) 1.9 liters of each day, it covers 71% of the Earth’s surface, and it sustains the existence of all living things. Clearly, it’s important. But chances are you haven’t been acutely aware of it. So we thought it would be a good idea to give water a little more thought. There are lots of great things to love about fall. There’s cooler weather, apple picking, Halloween… but arguably one of the best things is the natural art show that deciduous forests put on. Every fall these forests turn from their typical green to vibrant hues of red, orange, and yellow. It’s a spectacular site to see and one that people travel miles to visit (in Vermont we call them leaf peepers). But what’s the story behind this beautiful show of color, and why don’t all trees do it? As always, there’s some pretty cool science happening behind the scenes. What’s the weather like right now? Let me guess, you just glanced out a window? Or maybe you consulted the meteorologist in your pocket. Either way, odds are most people reading this won’t be outside. After all, Americans spend 87% of their time indoors. As a result, the weather is much less a constant concern of ours than a welcome reminder that nature still exists beyond our buildings. Humans are great at creatively conspiring against Earth’s elements, and the temperature is no exception. In addition to buildings, we’ve invented clothes to cover ourselves, thermostats to tinker with the temperature, and numerous other nature-numbing devices that solve the challenge of changing climates. June brought educators from around the country to Washington, DC, to experience Smithsonian research facilities, interact with scientists, and engage in activities to bring back to their classroom. These educators were participants in the Smithsonian Science Education Academies for Teachers (SSEATs), a weeklong event that focuses on the professional development of science educators. On August 21, 2017, day will appear as night, temperatures will drop, and birds will fly home to roost. This may sound like something out of fiction, but it’s all very real. 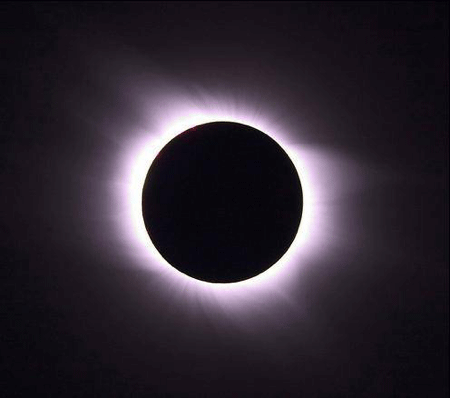 For the first time in decades, North America will experience a total solar eclipse stretching from coast to coast and even including Hawaii and Alaska. More than likely, if you’ve had access to TV, radio, Internet, or really exposure to any type of media in the past year, the total solar eclipse is not new news. This is something both amateur and professional eclipse chasers have been looking forward to and talking about for years. You may be wondering, is the hype worth it? Does the lining up of three celestial bodies all traveling on different orbital planes actually deserve this much attention? The simples answer, YES! Yes, you read that right. As 21st century humans, we get to enjoy all the perks of modern technology. That includes digital money, music in your pocket, intercontinental travel, and now, possibly, de-extinct species. Last month, a team from Germany considered the legal implications that such species-level innovation might have in a perspective from the journal Science. The discussion comes at an important time, as recent advances in the field have made the idea of de-extinction increasingly feasible. What is the physics behind watching a movie? When the lights in the movie theater dim and cell phones are muted, the movie is about to begin. In the dark, you can hear an occasional cough or the rustle of candy wrappers and smell the aroma of buttered popcorn. The screen begins to reflect light. Welcome to the world according to Hollywood, a world of make-believe made from moving images and digital sound. When you get hungry, you grab a snack from your fridge or pantry. But what can plants do when they get hungry? You are probably aware that plants need sunlight, water, and a home (like soil) to grow, but where do they get their food? They make it themselves! Plants are called autotrophs because they can use energy from light to synthesize, or make, their own food source. Many people believe they are “feeding” a plant when they put it in soil, water it, or place it outside in the Sun, but none of these things are considered food. Rather, plants use sunlight, water, and the gases in the air to make glucose, which is a form of sugar that plants need to survive. This process is called photosynthesis and is performed by all plants, algae, and even some microorganisms. 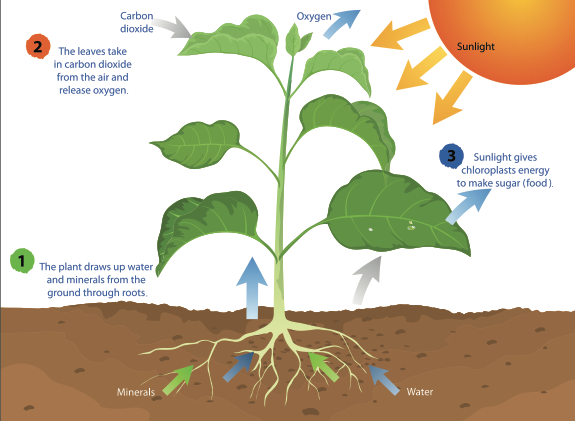 To perform photosynthesis, plants need three things: carbon dioxide, water, and sunlight. A thunderstorm is a disturbance in the atmosphere that is characterized by lightning and thunder. Lightning is an electrical discharge in the air generated by charged particles in moving air masses. Because lightning is a phenomenon of moving, charged particles, not rain, we see lightning in violent forest fires and volcanoes as well as thunderstorms. Thunder is the sound produced by the shock wave lightning generates. The air immediately around lightning is suddenly heated to high temperatures—up to 30,000°C (54,000°F)—and subjected to high pressure; it expands rapidly. Have you ever heard someone say, “Clouds are just water vapor”? Next time, you’ll be able to correct them. While it’s true that clouds contain water, they actually aren’t made of water vapor. If they were, you wouldn’t be able to see them. The water that makes up clouds is in liquid or ice form. The air around us is partially made up of invisible water vapor. It’s only when that water vapor cools and condenses into liquid water droplets or solid ice crystals that visible clouds form. There’s nothing lovelier than the first snowfall of winter. Fluffy white flakes slowly drift down to cover your hair and clothes in their crystalline patterns. Just like all of nature’s most beautiful things, we can describe the beauty of snow with science! With the help of a turn of the century scientist and knowledge of crystal formation, we can crack of the code on these snow crystals. Including the big questions: Is it true that no two snowflakes are alike? In the winter, when the days get shorter and the weather gets increasingly colder, it can seem like the Sun has forsaken us. I mean, after all, that’s when we are farthest from it—both physically and emotionally—right? Well, not exactly. While it might make sense to think that colder days equals farther distance from the Sun, it’s really not quite so simple. If you live in a rural area, or near a park, you’ve probably observed this unique squirrel behavior. When the weather catches a chill, these bushy-tailed creatures begin what looks like preparation for a wide-scale scavenger hunt. In great numbers, these squirrels begin to bury nuts! Squirrels hide nuts this way as preparation for cold weather when otherwise food will be scarce. This kind of proactive stashing raises a lot of questions for squirrel enthusiasts—the most pressing being how do the squirrels find their nuts again? It’s been just over 110 years since Einstein published his groundbreaking papers in 1905 that revolutionized physics as we know it and ushered in the quantum age. Among these papers were his theories on special relativity (not to be confused with general relativity, which he published 10 years later in 1915). His theories on special relativity discussed such strange things as length contraction and time dilation when an observer moved at speeds approaching the speed of light (3 x 108 meters per second, or c). When it comes to pushing the boundaries of science, you need to look no further than the European Organization for Nuclear Research (or CERN). Based in Geneva, Switzerland, CERN is a complex of particle accelerators and detectors—the most well-known being their Large Hadron Collider (or LHC), which is the world’s most powerful particle accelerator. Now, you might reasonably ask, “Why are we accelerating particles?” At the core of these experiments is one true objective: to find out what the Universe is made of. At the end of May, astronauts on the International Space Station (ISS) were able to install a new module to the station—by just inflating it! This new addition, known as the BEAM (Bigelow Expandable Activity Module) is the first of its kind when it comes to inflatable habitat technology. Delivered to the station at the beginning of April the BEAM has deflated dimensions of 2.16 meters (7.09 feet) in length and 2.36 meters (7.75 feet) in diameter but has now grown to a whopping 4.15 meters (13.16 feet) in length and 3.2 meters (10.5 feet ) in diameter.